Ludwig Mies van der Rohe was bornin Germany in 1886 his family were stone carvers which left a lasting impression on his future design ethic. Based on structural techniques and Prussian Classicism his designs are iconic. Frank Lloyd Wright was an inspiration to him as he developed his own style and in 1912 he opened his own studio. In 1927 he designed The German Pavilion at the International Exposition in Barcelona, Spain. 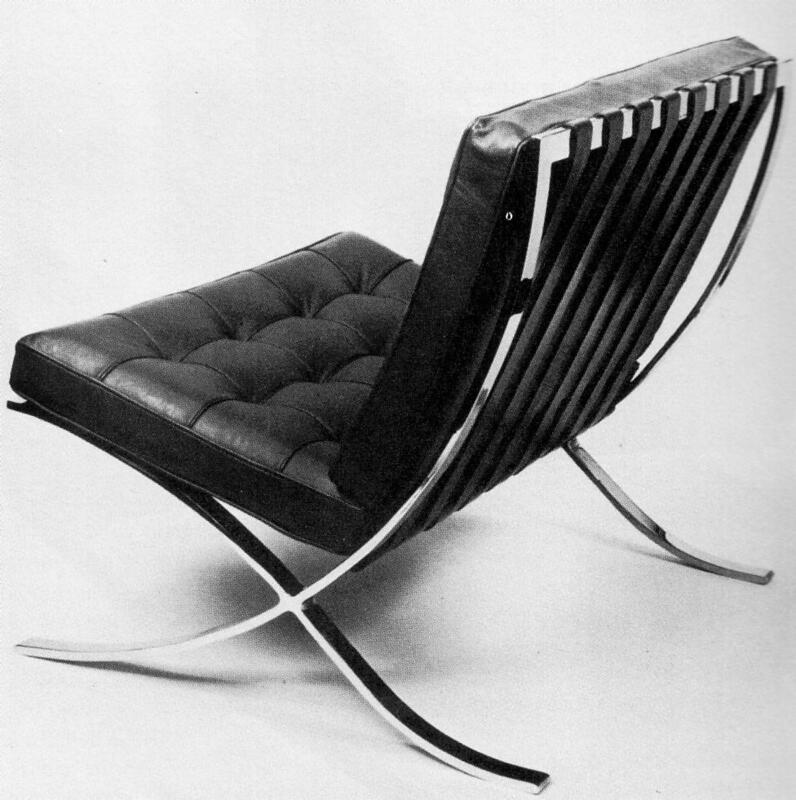 It is here that he created one of the most famous chairs in interior design, the Barcelona Chair. Created for the King and Queen of Spain, he showed how to use negative space to transform something as functional as a chair into sculpture. The cantilevered curving frame supports the soft upholstered cushions and there is an optional matching footstool. Many interior decorators have chosen this chair to furnish the most posh of offices; it is the height of coolness. Director of the Bauhaus School from 1930-1933, where the philosophy is about functional, mass-produced furniture for the working class masses, the Barcelona chair did not fit this ideology. Mies van der Rohe seemed to have made an exception. Timeless design, Mies van der Rohe’s furniture is very popular to this day. A founding father of the Moderism Movement along with Nelson and Eames, Mies van der Rohe’s work is distinguished by his constructional clarity and his “less is more” philosophy. can anyone suggest a place to by good beds ?